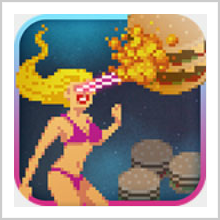 PrintJinni – Print From Your Phone on the Go! Things nowadays are going wireless. You can even print wireless now from your hand phone and computer. It is really hard to find a good printing app on the Android nowadays but this awesome app for the Android phone called the PrintJinni will be something that you would like if you print often from your phone, allowing you to wirelessly transmit files from the phone, to the printer itself. Using PrintJinni for the first time, I was able to take advantage of their 30 days free trial, which is a joy since you are able to print your files infinitely. It is great to find a single app which supports so many formats, like PDF, Word’s .docx and .doc, and photos. Most apps on the market only support 1 type of formats, which forces you to purchase multiple apps. Another great feature of PrintJinni is their simple and easy to understand blue colored user interface. 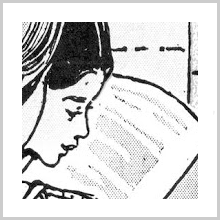 Words are displayed clear and vividly meaning you will not need to squint anymore. PrintJinni’s print preview was excellent, it features exactly what would a picture would look like when printed out. Information was also given clearly, asking me whether I want to print it colored or the economical black and white to save ink. I was also able to print out web pages using PrintJinni by just going to a certain web page before clicking on the “Print with PrintJinni” tab. Now my mum will be able to print cooking recipes from her phone on the go. PrintJinni also support many forms of printers, from Epson Printers to Hewlett Packard Printers. 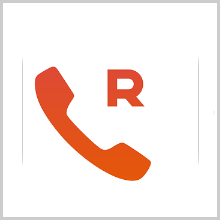 However, they will need to support some forms of wireless communications. For example, HP Printers will have to pack in Printer Command Language 3, which I believe most modern corporations do have. WiFi can also be used for printing as well. 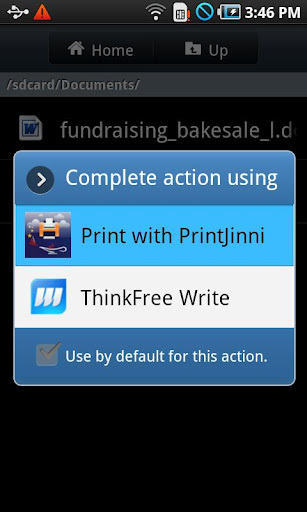 Print Jinni for the Android supports many versions, from the old Éclair type to the new Ice Cream Sandwich. Even though it does not support Jellybean yet, I am sure that Thinxtream Technologies will implement the support soon enough. 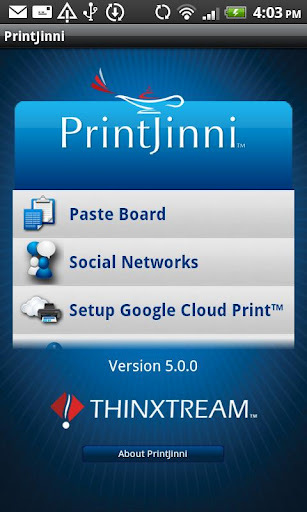 PrintJinni also uses Google Cloud and their own PrintJinni Cloud to print. Even though I normally use Google Cloud to print all of my important documents as they are all stored there, Print Jinni Cloud is useful as well for those who do not have enough space in their Google Cloud’s storage. Instagram, Picasa, Facebook and other major social network sites are all supported, allowing you to save more time in printing. 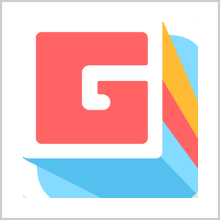 Subscriptions are also available after the 30 days period, like for a year; you will only need to pay $3.99 to use the app for unlimited number of times. I feel that PrintJinni is much better than even official apps, meaning I will rate PrintJinni at a high 9/10 for its great utility and support of many formats.